Silvia Pencu — Mentoring. Inspiring. Empowering. Silvia Pencu is 23 years old and comes from a small village, situated in the Southeastern part of Romania and until high school, she has lived with her parents. Starting with high school she started to dream a different life that made her desire to study abroad and see the world. She wanted to become independent and live her dream, so in order to do so, she applied for a full scholarship in South Korea. That year was very meaningful to her, especially because she failed. Silvia then realized that is not ready to leave her country and that she still lacks important skills in order to achieve her goals. Therefore, she used that one year to study at Bucharest University, focusing on French and Czech languages. The next year, without giving up on her dream, she applied again, her application leading her to success. As a result, in order to pursue her dreams, in 2015 she came to Seoul, South Korea, after receiving a full scholarship offered by the Korean Government. She is currently enrolled at Korea University, where she’s studying both Media and Communication and International Relations. 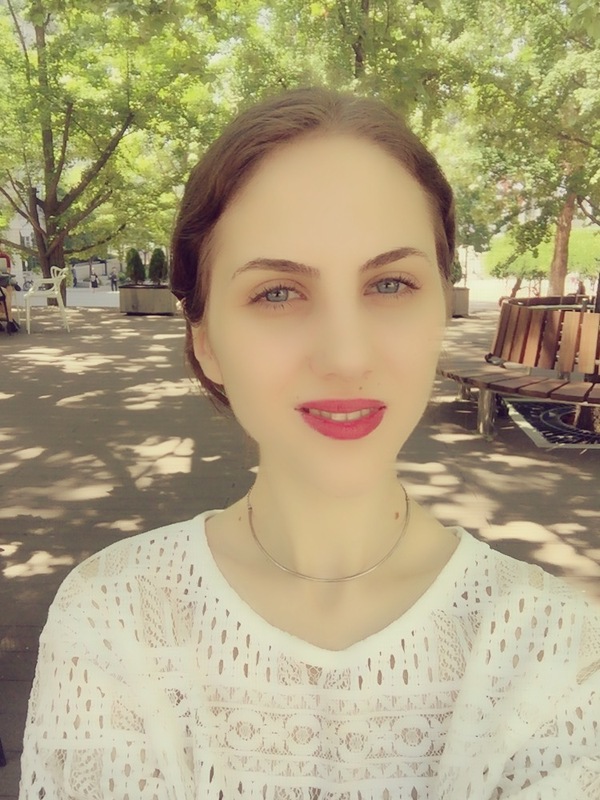 Silvia has various interests but if she was to choose the most relevant ones, she would definitely choose her passion for learning foreign languages and calligraphy. Even though she is a beginner, she enjoys Chinese calligraphy and anything else that has to do with arts and music. She considers herself a dreamer, and her passion for writing and creating gives her solid arguments to believe so. As of what it concerns her career prospects, at the beginning of her journey she was highly interested in media, especially in the advertisement industry but with time, seeing the various turmoils the world is facing, she decided to focus on diplomacy as well. Silvia has the strong belief that most of the conflicts occur because people do not communicate effectively, and are unable to properly understand each other’s social and cultural background. In order to change this paradigm, she would like to cooperate and work for international organisations, helping to maintain the peace and consolidating international cooperation. She wants to believe there will be a day when people will help each other more, regardless of their differences. She also found a great opportunity in studying abroad, an experience that helps her consolidating diverse knowledge and critical skills. Since her country is still developing, she would like to use the knowledge she is now accumulating in order to bring some of the changes the youth needs. Silvia Pencu's mentor is Dr. Hani Ezeldin.